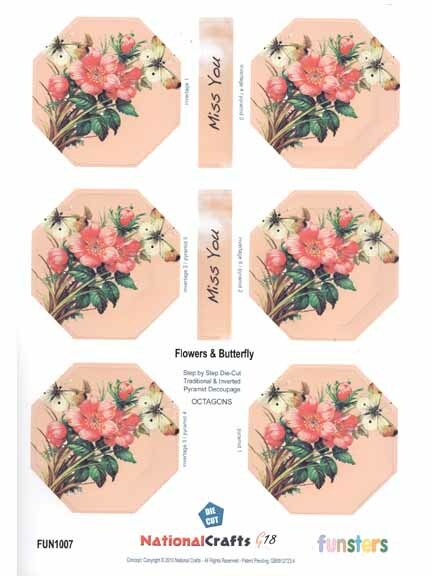 Funsters - Flowers & Butterfly Traditional and Inverted Pyramid Decoupage. From one sheet you can make both a conventional decoupage pyramid design and an inverted design simply by popping out the inner and outer Precut pieces. Also use the matching banners to finish your project.